J. Cole Will Perform at the Shoreline Amphitheater with Big Sean and More! During the warm summer months, the Shoreline Amphitheater is a popular destination for both locals and tourists alike. What makes the Shoreline Amphitheater so unique is that it is an outdoor venue that caters to both reserved seats and general admission on a lawn where guests can picnic. Watching a show here during the summer is particularly enjoyable as you can enjoy the great weather while catching a show with friends. If you love hip hop, here is some good news for you. 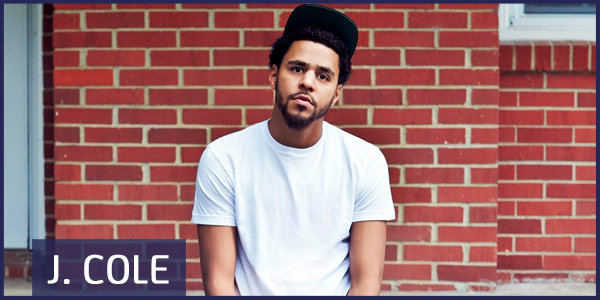 J. Cole will be performing live at the Shoreline Amphitheater on Tuesday, July 14th. Big Sean, YG and Jeremih will also guest star during the performance. Get your tickets today before they sell out! J. Cole is currently on his Forest Hills Drive 2015 North American Tour. What sets him apart from other current hip hop artists is that not only does he sing hip-hop, but he also dabbles in slow funk, R&B, neo soul, and jazz. He is also a creative storyteller saying, “Rhyme patterns are nothing without meanings to the words”. His latest album is entitled 2014 Forest Hills Drive, which was the address of his childhood home. The album is a meditation on balancing success and family and how much things have changed since growing up in North Carolina. 2014 Forest Hills Drive was the first hip-hop album with no features and no single to reach platinum status since 1989 and it debuted at number one of the Billboard 200. This was J. Cole’s third album to reach number one status. Tickets for this event can be purchased through Ticketmaster or Live Nation. For general admission lawn seats, tickets are $53.75. For reserved seating on the upper or lower level of the amphitheater, tickets range in price from $30.75 – $96.75. A corresponding fast lane ticket for this event can also be purchased. With a Fast Line voucher, you will be able to skip the general admission public lines and get in faster. Simply head to the Main entrance and look for the Fast Lane Banner and present your voucher. Fast Lane Vouchers are only $5 each. If you’ll be in one of the hotels in Mountain View near the Shoreline Amphitheatre, purchase your tickets now! Enjoy the show!